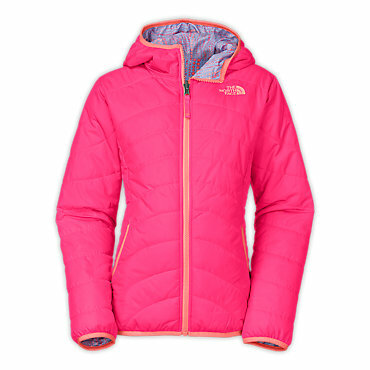 The North Faces Girls Reversible Mossbud Swirl Jacket delivers both cozy comfort and warmth with its insulated design. 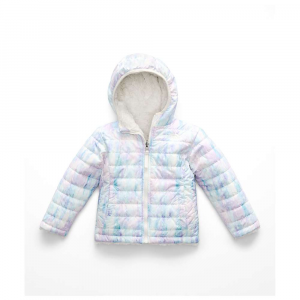 Shell is reversible one side is constructed of 100% quilted polyester taffeta with a durable water-resistant finish, while the other is 100% polyester high-pile silken fleece. 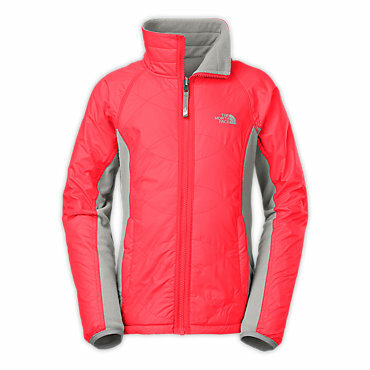 100-gram Heatseeker insulation ensures extra warmth in cold conditions. Hand pockets on both sides. Imported. Sizes: XS-XL. Color:TNF Medium Grey Heather. Size: Large. Color: Tnf Med Grey Heather. Gender: Female. Age Group: Kids. Material: Polyester. Type: Jackets. 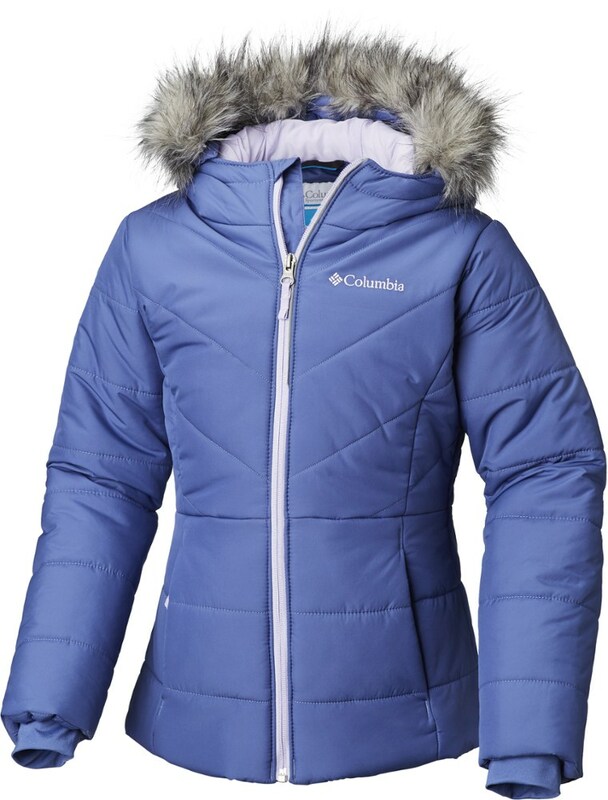 With quilting on one side and fleece on the other, this jacket provides warmth no matter how it's worn! 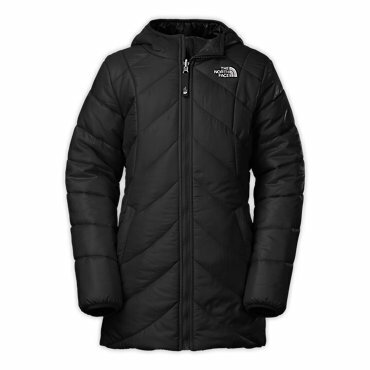 On cold, brisk days, turn the wind-resistant quilted taffeta out as the silken fleece keeps heat close to her body. Wear it fleece out on more mild days. . . . . . . Body is made out of 100% polyester taffeta with a DWR finish. . Inside is made out of 100% polyester textured high-pile Silken fleece. . Horizontal quilting with welt-zippered hand pockets. . Fleece side also includes welt hand pockets. . Weighs 22.3 oz.. . Center back length: 21.5 in.. . Imported. . Products on Sale are Discontinued Styles or Colors. 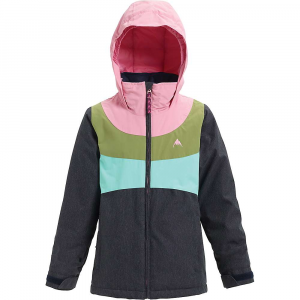 She'll get twice the outdoor performance from this versatile, reversible insulated jacket that has a wind-resistant exterior and a soft Silken fleece interior. Your little one is just starting to develop her own sense of style, and as much as she loves frills and sparkles on her clothing, she also loves adventures outside. Buy her a jacket that gives her the touch of girliness she's drawn to with the ruggedness to hold up to her escapades in the outdoors. 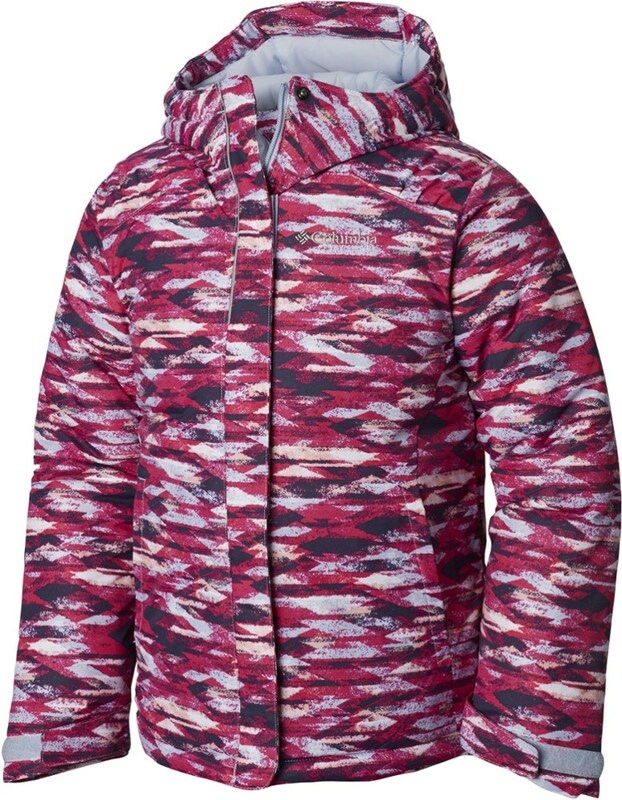 The North Face Mossbud Swirl Reversible Jacket puts a modern spin on your run-of-the-mill kids' jacket, transforming it into an elegant and distinct piece. The lovely horizontal quilting maintains a traditional style, while the brushed inner fleece alludes to a faux-fur feel. As a fully reversible piece, this jacket can be dressed up or down, catering to whatever her mood may be.